A couple of years ago Tanya and I were researching an article for Conde Naste magazines on the best hotels on the Riviera. 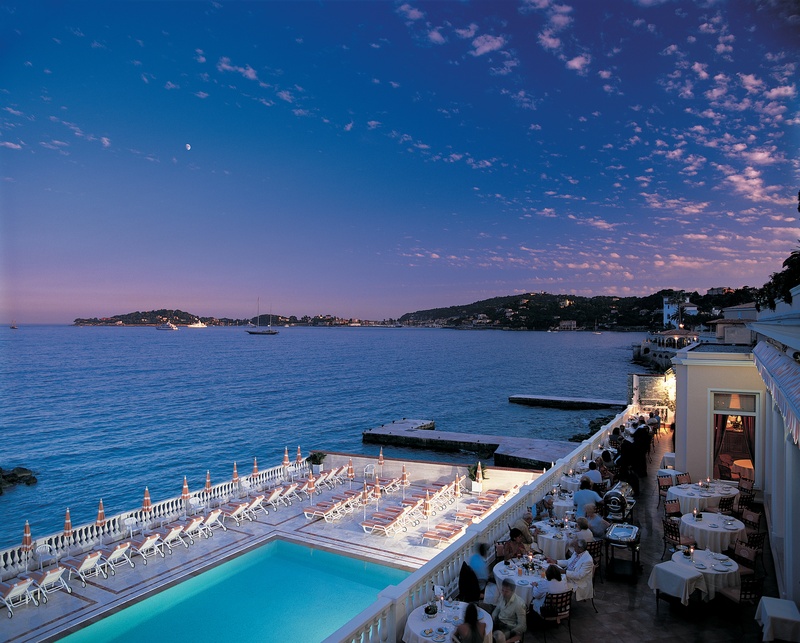 We visited them all, including the most famous of them all the Grand Hotel Cap Ferrat. As you would expect the rooms, the restaurants and the bars were all gorgeous, mixing old school charm with the scents and light of the south. However what made the greatest impression was the swimming pool. Taking exclusivity to new limits guests arrive at the swimming pool by a little monorail which takes you up and down the hillside in the manner of an Alpine funicular railway. The pool, when you arrive, hangs out into the sea, so that when swimming you feel part of the Med. Sunbathers are fanned by gentle breezes as the waves crash onto the rocks and waiters saunter by attentive to every need. At the time I remember thinking how fortunate the assembled oligarchs, film stars, and business moguls were to enjoy such luxury, thinking that the experience was not replicable at the cheaper end of the hotel spectrum. I was wrong. 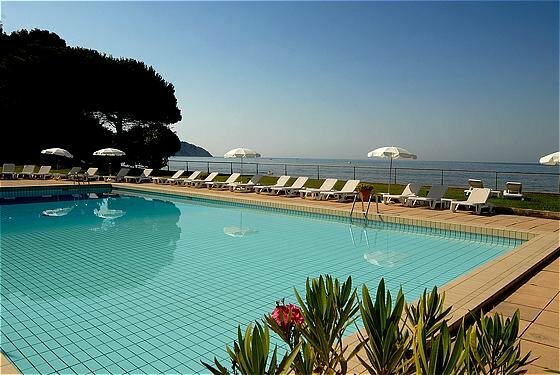 Since then the Guru has discovered a couple of other swimming pool gems along the Riviera coast, where guests can close their eyes and synchronise their contented breaths to the breaking of the waves. It’s amazing how similar the approach to the pool at the Provencal hotel in Hyeres is to the Grand Hotel. Both pools are reached through tropical gardens full of exotic flowers and somewhat threatening cacti. Just as at the Grand Hotel there’s a sharp descent to the pool only at the Provencal there’s no handy monorail to whisk you down the hillside, instead its steps, steps and more steps. The pool though easily makes up for the knee-ache hanging so far out to sea that you can feel the spray from the waves. Just along the coast is the kid friendly resort of St Cyr Sur Mer. There’s hardly an English voice in this old fashioned resort town. 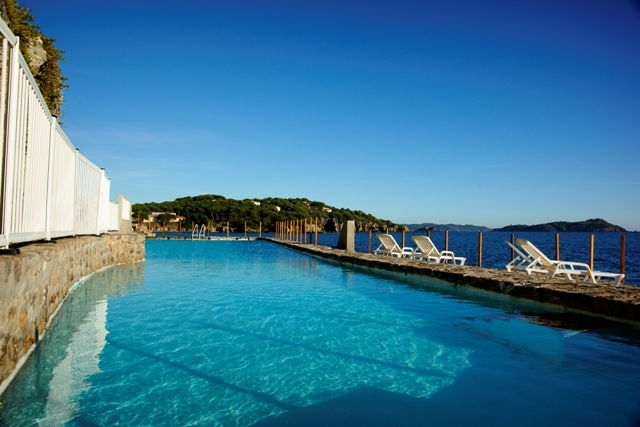 Set back from the road just a couple of kilometres from the Les Lecques beach area is Hotel Ciotel le Cap. Once again there’s a park full of exotic flowers and cacti, and a pool perched out on the rocks. For those who fancy a little salt water splash and a dance with the occasional jellyfish there are steps down to sea. Finally once again in the expensive camp is the pool at La Reserve de Beaulieu. Back in March the team from the Guru was down on the coast. At 11am in the morning we walked past the pool. The sun was warm, the sky clear, and there was a lone swimmer doing an individual medley of strokes. It looked an idyllic way to pass the morning.